I drove from Cape Town to Uniondale with a Mazda CX5 to take part in the 2012 Karoo to Coast cycle tour. As expected the CX5 handled the trip with ease. Although I only took one cycle, I could have loaded two in the back with ease together with our luggage. Average fuel consumption was 7.5 litres per 100km. This included fast highway travel and slow stages through the forest and over the Prince Alfred’s Pass. The road is being resurfaced near Swellendam, so expect delays at two points. The newly re-developed stretches of the N2 are very good. A word of caution about Sir Lowry’s pass, one lane outbound is closed for repairs after rock falls. Not a problem, just drive carefully. Riviersonderend is the first oasis along the way. Great chicken pies to be had at the pie shop. 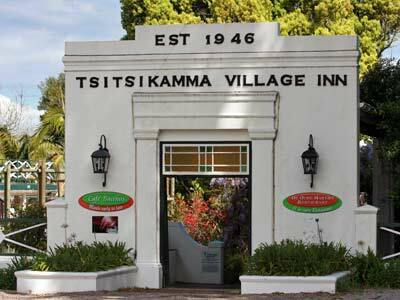 These Overberg places are villages more than towns. Swellendam is an exception. Worth an overnight stay. Make a point of just stopping at one of the many picnic stops or gravel turn-offs and breathing in the fresh air and the ambience. Fertile, cultivate rolling fields with a backdrop of mountains. Hartenbos near Mosselbay is an excellent place to camp or if you want self-catering bungalows. It is an ATKV resort as well. Close to Mosselbay, Glentana and George. We stayed at the Fairie Knowe hotel in Wilderness. It is on an ‘island’ in the estuary. Prices are very reasonable out of season. If you are a pensioner, ask for an additional discount. It is about R660 per couple for bed and breakfast. Wilderness makes a great base to explore the Garden Route. We did a day trip to Uniondale via Tsitsikamma and the Langkloof and back over Prince Alfred’s pass. A very rewarding day. Although you can do the pass with a normal car, it is better with a slightly raised ride height. Bontebok park just outside Swellendam is a pleasant overnight camping stop. 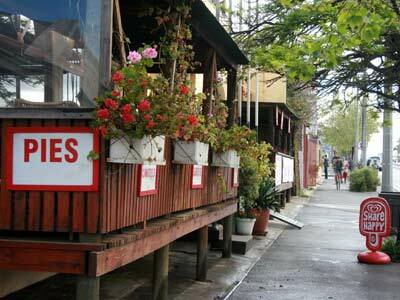 The town itself has excellent guest houses and Witsand in not far away at the mouth of the Breede river. The pont and hotel at Malgas is also worth considering. The area from Mosselbay to Plettenberg Bay justifies at least a week of exploring. Just the many and varied mountain passes can keep you occupied for days. 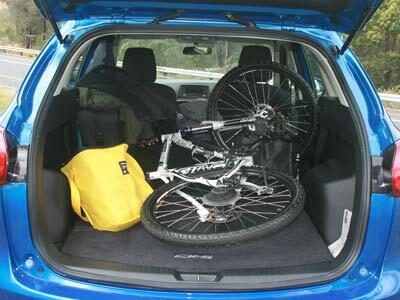 They are best explored with a SUV or dual purpose bike. I got cramps on the Karoo to Coast, (http://www.karootocoast.com/) so only managed to complete it in 7 hours 30 minutes. But I will be back next year. A tip from a fellow cyclist. Drink ENO’s when suffering from bad cramp. I tried it and the relief kicks in within 2 minutes. It is amazing. Doesn’t last for long if you keep pushing those muscles though. 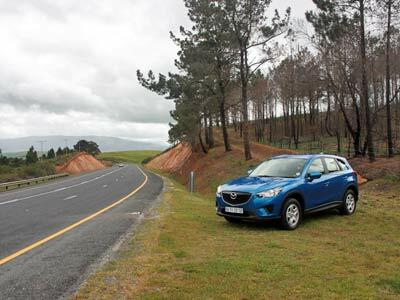 This entry was posted in Roadtrips and tagged cx5, mazda, Riviersonderend, South Africa. Bookmark the permalink.